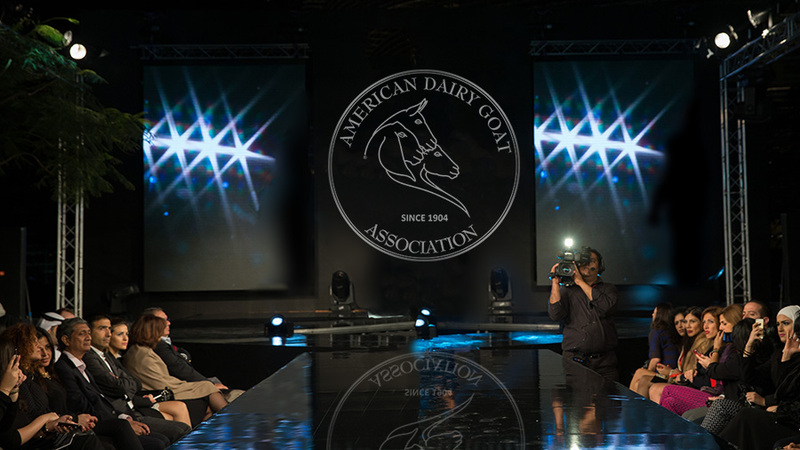 The Spotlight Sale is one of two annual dairy goat auctions hosted by the American Dairy Goat Association. The Spotlight Sale is held during ADGA Annual Convention in October while the Colorama Sale is held during the ADGA National Show in late June or early July. Attending the sale is free, however, you won’t want to miss the hors d’oeuvres, dessert & champagne reception preceding the sale. Be sure to register for the “Spotlight Sale Reception” or make sure it is included in your registration package when completing your Annual Convention Registration. The 2019 Spotlight Sale will be held at the The Riverside Hotel, 2900 W Chinden Blvd, Boise, ID 83714 on October 19, 2019. The Spotlight Sale Reception will begin at 6:00 pm Pacific Time and the sale will follow. The Spotlight Sale is a unique opportunity to accentuate the accomplishments you have made in your herd. Don’t pass up this opportunity to showcase your very best! Does of any age are eligible. However, bucks must be born within twelve months of the date of sale. Nominees must conform to ADGA Breed Standards, have correct and legible tattoos, be free of physical defects, be functionally sound, and healthy. Negative CAE, TB, and brucellosis results are required, as well as interstate shipping papers. ADGA performance programs information is weighed heavily by the committee. Milk production and linear appraisal scores, as well as show records are all extremely important. The Spotlight Sale Co-Chairs are available to help you with the nomination packet and to answer any questions about the process. Contact either of them today. Committee Co-Chairs: Kristi Bozzo-Baldenegro, 209-296-3356 or goatjudg@aol.com. Bill Newton, 716-499-2463 or fignewton716@gmail.com. To ask questions about bidding or place a proxy bid, please contact the ADGA Association Manager, Shirley McKenzie, at adgascm@aol.com. Please include your phone number. Bids will not be finalized until payment arrangements have been made. All bids are held in strict confidence. Online Bidding was available during the 2018 sale through LivestockBuyer.com Prepare to bid online now by creating an online bidding account. Transportation is your responsibility if you win a bid. The contact for questions regarding Spotlight Sale transportation is Spotlight Committee co-chair, Kristi Bozzo-Baldenegro, or Association Manager, Shirley McKenzie.